These round sunglasses hava a light brown color in the lens. 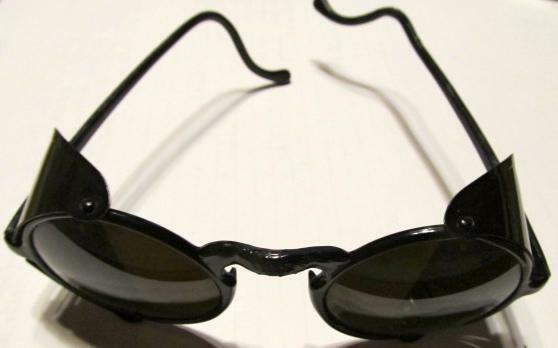 They protect the eyes on the sides with a black shield as well. The lens are in great condition with no scratches. The ear pieces and nose piece show some ware but they do their job and with fine. 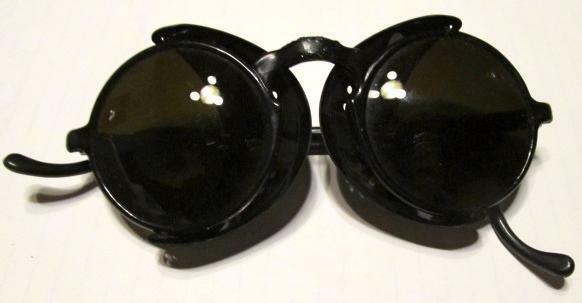 Items Similar To "Sunglasses sun glasses plastic - "